The phrase “Open Access” is something that all should take note of, especially since the Internet Age has largely redefined what it truly means. With the ingrained interconnectivity of today’s society, the flow of information has become so overwhelming that is has completely annihilated the quiet days of the past. Along with the past, has gone all its former information philosophies. The new paradigm has been discovered, and open access to information is a concept that has only really applied to hidden tradition of religions and or secret societies for the majority of history. However, in this era, the idea of Open Access deeply affects every individual involved in the global network. With information so readily available, all on a universally translatable digital format, the supposed need for the manipulation of information has been radically adjusted as well. 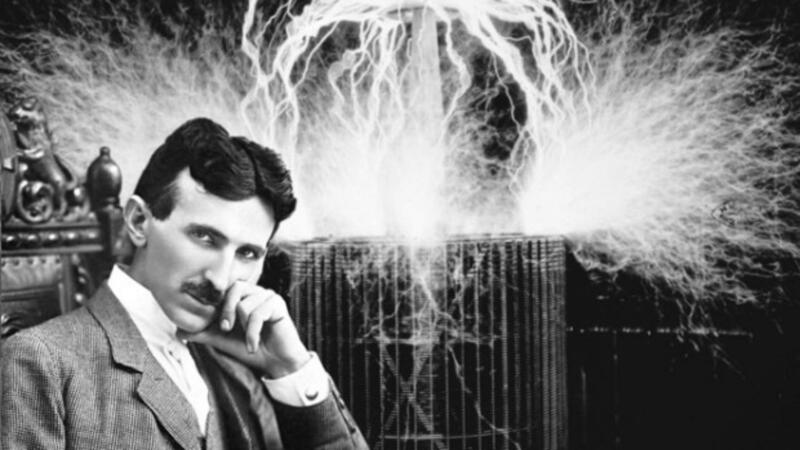 time, Tesla struggled in an era where it was politically unacceptable for the layman to have access to electrical power, and certainly not at an affordable rate. In terms of the discussion at hand, all of these things are related to the topic of Open Access, a bullet-point on a hacker’s sometimes smaller list of ethics, and a cornerstone of thought for one of the most legendary hackers, regarded for both his prowess and his ethical code: Aaron Swartz. Aaron was the main mind behind the Guerilla Open Access Manifesto (below), and the co-creator of Reddit before he was even able to enroll in high school. He was the mind behind the Internet’s Creative Commons License, RSS web feed, and the backlash that PACER (Public Access to Court Electronic Records) received. He helped launch the Progressive Change Campaign Committee in 2009 and was the founder of Demand Progress, an internet online activism group largely behind the political stone-walling that SOPA (Stop Online Piracy Act) received after it’s initial suggesting. Aaron Swartz: the Nikola Tesla of the World Wide Web—whereas Tesla sought free, unlimited energy for all, so Swartz sought free, unlimited information for all, and both are merely different forms of power. Progress, SOPA—the Patriot Act of the Internet, one could say—would have radically altered the entire playing field of the Internet, and allowed convenient censoring for government officials and heavy penalties for those who disobeyed. PACER is a public database of courtroom records that, despite its public domain, requires money to purchase the right to view each law in the database. Swartz and colleagues devised an online drop-box that would allow people to send the PACER documents they had purchased to a public database for all to see. Technically, this was not breaking any laws, but this was Swartz’s first big mark on the federal radar. Some at this point might be wondering, “If this guy is so important, then why hasn’t he been doing anything lately? Early retirement? Laziness? Apathy?” Well, as the official report goes, Swartz hanged himself in his apartment on January 11, 2013—something that friends and family are always very quick to note as peculiar and out-of-place for the lovable young man. This dramatic ending was the climax of a long legal battle between Swartz and MIT (Massachusetts Institute of Technology), where Swartz was attempting to steal large repositories of academic journals from a digital repository called JSTOR in order to launch it into the public domain, where they would have been accessible to all at no benefit to Aaron. The official report states that Swartz utilized JSTOR (which he apparently received through research with Harvard University), to download these repositories of journals from MIT’s network over the time span of a few weeks. Finally kicked from the servers after his hacking skills offered up a lengthy game of cat-and-mouse, Swartz snuck his way into an unlocked controlled-access closet, connecting his personal laptop into the network switch to continue the download swindle. Midway through the process, JSTOR employees became aware of the situation and set up video monitoring so as to catch the face of the laptop’s owner when said owner returned, which did indeed happen. Interestingly enough, Swartz was not apprehended at that point. Days later, on January 6th 2011, he was arrested by MIT police and a U.S. Secret Service agent, where two state charges of “Breaking and Entering with Intent to Commit a Felony” where placed. Subsequently these state charges would be dropped only to make way for the intimidating list of federal indictments, reaching as high as thirteen towards the end. The last turn of the legal chess game before his death was a plea-bargain that would sentence Swartz to six months in federal prison as opposed to the 35-50-year fluctuating charges, which Aaron declined and matched with a counter-offer—which was also declined. Two days after this, his death was confirmed. Holy Trinity: Assange the father, Swartz the son, and Guy Fawkes the spirit within them. 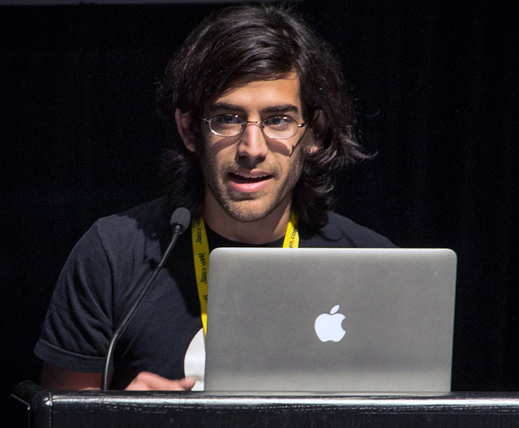 The common theory amongst hacktivists and Swartz supporters is the idea that Aaron posed a major threat to the U.S.government, and that Demand Progress and his other projects proved him seriously formidable. So when legal bullying didn’t work, they resorted to an endurance competition, followed by a goading into a smaller penalty so that Big Brother could still look the victor. When these as well did not work, he was executed on the grounds of “national security” or some other hollow code of honor, or so the theory goes. The Obama Administration argues that Swartz was clearly in the wrong for his large theft and his breaking-and-entering charge, which is legally true, but is ethically quite a different matter. The fact is that one can use the black-and-white ideology that “all theft is wrong,” but all who hold this golden standard will eventually fall short when they are forced to steal food to survive, or decide to trivially take that beer out of their best friend’s refrigerator, or in Swartz’s case, when he stole scientific journals that were originally conducted for public betterment to begin with. There is quite an enormous philosophical difference between actually breaking-and-entering into private property to physically steal things that belong to someone else for a profit, and sneaking into the basement of a college to download files that aren’t supposed to be yours, for the betterment of society. Swartz was in no way looking to make any personal profit from these journals, and for all intents and purposes seemed to be quite altruistic in his theft, for whatever that is worth. His death also brought about a barrage of hacks on MIT’s web presence, and it is important to note the serious taste of betrayal within the culture. MIT is considered largely to be the birthplace of post-modern American hacker culture, and even though neither the university nor JSTOR pressed any charges against Swartz, their docile nature towards the brutal hounding that he received from the federal government enraged the culture MIT had helped found. On January 18th, 2013, the university’s email was knocked down for ten hours. On the 22nd of the same month, two hackers helped redirect emails sent to MIT to the Korea Advanced Institute of Science and Technology, while all other MIT traffic was directed to a computer at Harvard University, the screen reading “RIP Aaron Swartz” along with an excerpt from Swartz’s infamous “Guerilla Open Access Manifesto” from 2008. Following both of these, January 26th brought Anonymous to hack USSC.gov (US Sentencing Commission), replacing the home page with a YouTube video titled, “Anonymous Operation Last Resort”, which heavily referenced Swartz and his legacy. The last piece to this little puzzle is something that has been purposefully left for the end: the aforementioned “Guerilla Open Access Manifesto”. The concept of “Open Access” could be considered one face of a coin, the other being the idea of “Full Disclosure,” both very self-explanatory terms that work within the context of the Internet as a loose hacker code of ethics, as mentioned above. Drafted in 2008, Swartz was the only one of the contributors to sign his name, which would later prove instrumental to his surmounting federal charges. The entire document can be read here, and it is highly recommended for its provocative and inspiring nature. It is also quite interesting how illegal it was considered in the eyes of the court, which inherently represents the ethical hollow ground that Aaron’s prosecutors stood on, and is one of the most convincing pieces to the whole story. Much like Chelsea Manning, Julian Assange, Jeremy Hammond, Andrew Auernheimer, Barrett Brown and others, Aaron Swartz was made an example of in an Internet Age full of unprecedented information access that is still almost totally undefined, and loosely regulated. The people listed above have one major action in common, they exposed, or attempted to expose, that the US government is interested in owning all of its citizens information, while these citizens are left completely in the dark about their government’s activity. “We need to take information, wherever it is stored, make our copies and share them with the world. We need to take stuff that’s out of copyright and add it to the archive. We need to buy secret databases and put them on the Web. We need to download scientific journals and upload them to file sharing networks. We need to fight for Guerilla Open Access. With enough of us, around the world, we’ll not just send a strong message opposing the privatization of knowledge — we’ll make it a thing of the past.